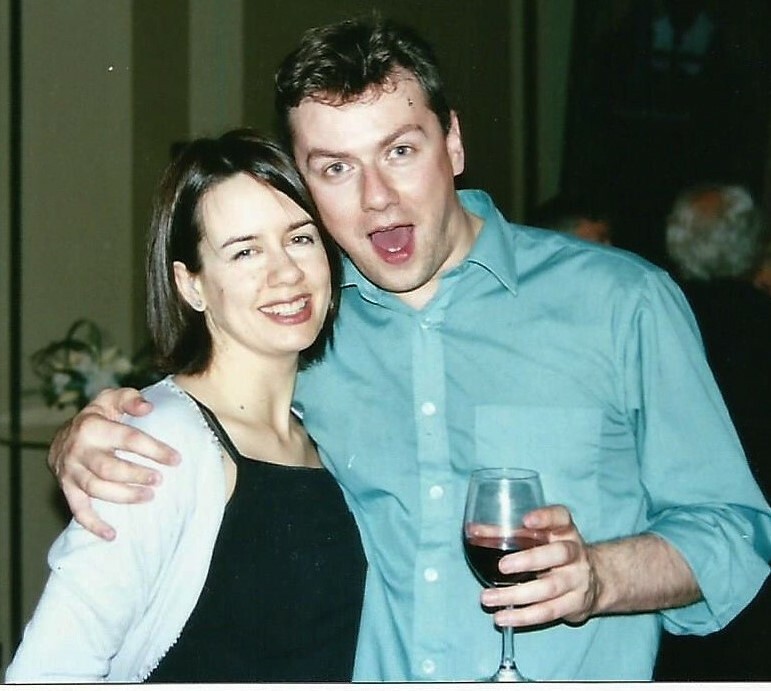 So here's a photo from 20 years ago when Francis and I first 'stepped out.' Imagine having no grey hair! Youth was wasted on me. Fast forward two decades - to a Saturday morning in bed with the kids. They are considering trying to send Daddy a present. On Tour. Hugh: Like, maybe a bar of chocolate or something? Me: He gets free chocolate in the dressing room every night (not jealous). Hugh: A pot of hair gel, maybe? Hugh: An electric guitar that shoots out electric rays! Like Eaglebones in Aquabats. And it can kill people. (Fits of giggles). Tess: Drums that shoot out bats and slugs! Hugh: (regains composure). What about a magazine of pretty ladies? Me: (Whit?! Where did that come from?! He's seven. Surely he means Vogue?) And what about Mummy? Tess: We can Sellotape pictures of Mummy in and pictures of Monkey and he can kiss it all day (does demo on mummy's face, while mummy foresees an unauthorized 'Monkey-in-Swimwear' photo-shoot on her iPhone). Tess: Okay, then a robot servant. Hugh: A garbage truck? (We are beyond justification now). Tess: I know! What about Galactic Poo? (Yes, everyone's favourite). Hugh: (Eventually, when giggles subside) You know, I really liked the 'pot of gel' idea.